Of all the wordplays one might like to make on a travel blog, this is right up there. Or down there. 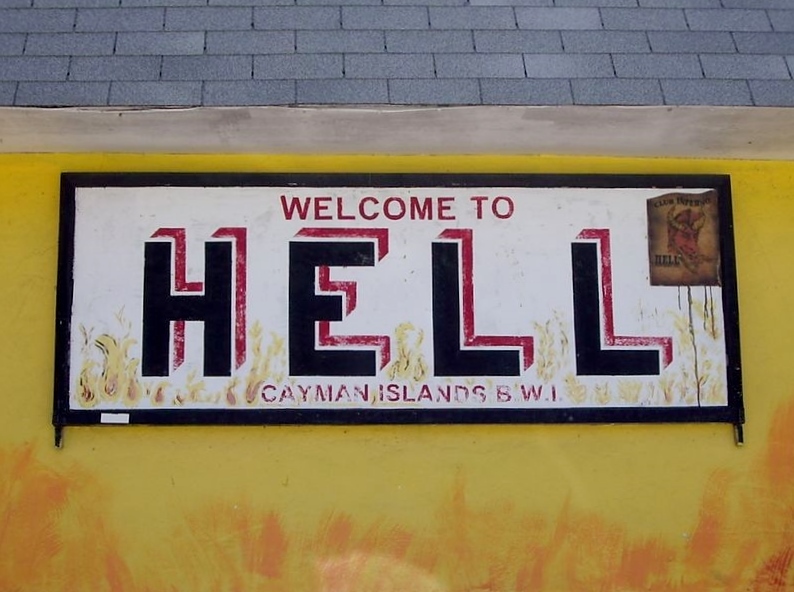 There is a very tiny village in the West Bay area of Grand Cayman called Hell. And we went there. On a very hot day. We arrived at the same time as a horde of tour buses that had downloaded crowds of truly hot, truly sweaty tourists from four cruise ships that had docked in Georgetown. 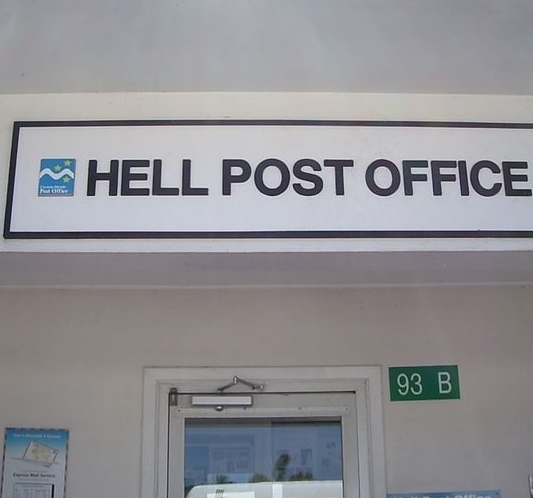 And what better place for all of us on a hot, humid day than a quick trip to Hell? We found chickens. No surprise there. And stores full of corny postcards, T-shirts and other bric-a-brac with pithy sorts of statements about our location. I popped into a store (named Hell Store #1) and was greeted by a lovely lady behind the counter. She asked if she could help me and I said I was looking for hubby. She said, “Well you better find him, dear, as you wouldn’t want to leave him in Hell, would you?” Just for a moment, I pondered how many times she has said that. This does not need any explanation. So the reason for the name is black rock formations that look like they were designed in the depths of the earth and were shot to the surface. I did not get a pic because of the angle of the sun, but saw a large lizard run across the path just before taking a peek at the Mordor-like scene. Nothing like a reptile on the path to get you in the mood during a visit to Hell. Just remember, there are lots of chickens in Hell. 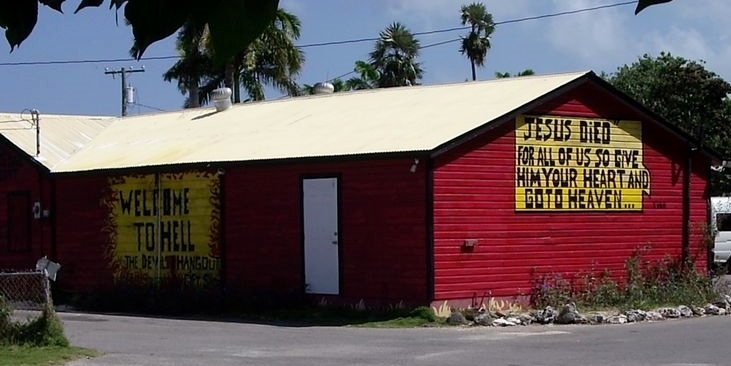 These signs cover the range of spiritual options available to visitors.